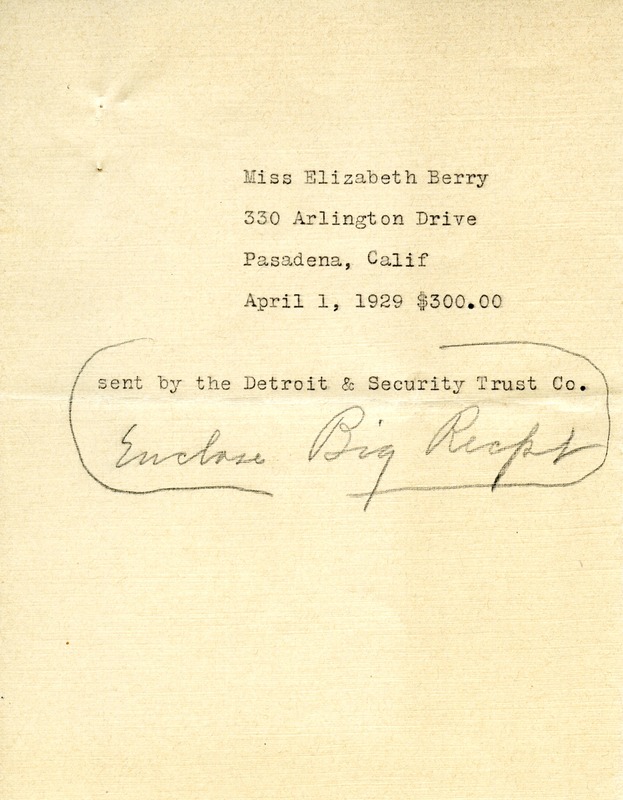 Receipt for $300.00 sent on behalf of Miss Elizabeth Berry by the Detroit & Secruity Trust Co.
Detroit & Secruity Trust Co.
Detroit & Secruity Trust Co., “Donation Receipt from Miss Elizabeth Berry.” Martha Berry Digital Archive. Eds. Schlitz, Stephanie A., Moriah Best, et al. Mount Berry: Berry College, 2012. accessed April 21, 2019, https://mbda.berry.edu/items/show/9522.